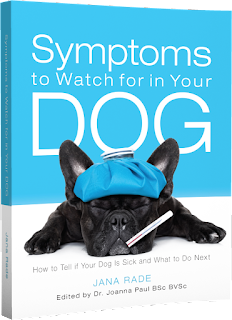 Symptoms To Watch For In Your Dog: Excessive Head Shaking | Dawg Business: It's Your Dog's Health! You might have noticed that when talking about symptoms, sometimes a qualifying word is included, such as excessive panting, excessive drinking, excessive head shaking. That is because these are normal behaviors and whether or not there is a problem is a question of degree. Dogs will shake their heads in response to any irritation, such as pain, an itch, a tickle or a bug bite. 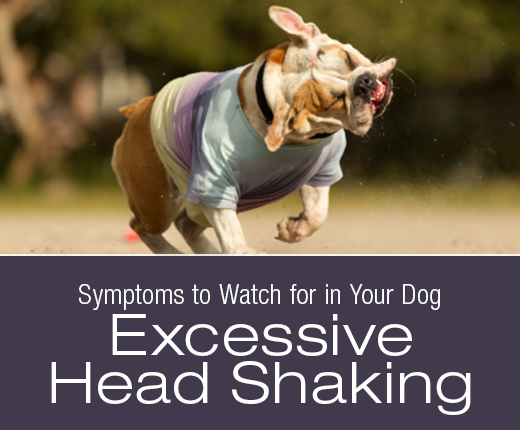 If your dog is shaking their head persistently, you need to pay attention and look for a cause. On our summer walks, JD will shake his head quite often, to fend off bugs. Deer flies in particular seem to like him. I think they know they can drive him nuts. Jasmine was much less concerned about them, she was a bush dog at heart. It was me who was following her around and chasing them off. She didn't seem to care. The other day, on the way from the farm, JD kept shaking his head. This was cause for concern and we were going to check his ears when we got home. He kept shaking and shaking ... and then we saw an ant waltz out of his ear. There was our culprit. The shaking stopped. When an especially mean stray tick got on Jasmine's ear, her instinct was to shake her head. The bite was painful for Jasmine though, so every time she started to shake her head she'd cry a little, stop and hold her head down, tilted towards the affected ear. This immediately alerted us to a problem and we found and removed the invader. When your dog starts shaking their head like that, examine the ears, eyes, head, neck and skin carefully. Pay particularly close attention to the ears. Some culprits are obvious and easy to deal with. Some require attention of your veterinarian. A common cause of head shaking is otitis, inflammation of the ear canal. Grass awns, ear mites and other things might be at play but, allergies are also very common causes of ear inflammation. An inflamed ear makes a great playground for bacteria or yeast. Infection often follows. 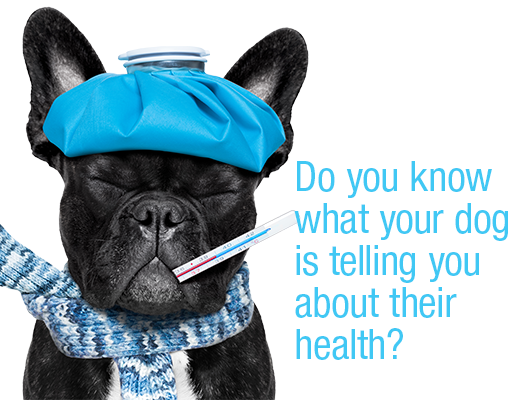 If there is redness, swelling, discharge or bad odor to the ears, it's time to see your veterinarian. If pain is involved, see your veterinarian right away. If you have a reason to suspect a foxtail, also don't delay. 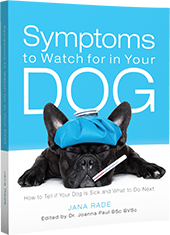 Those nasty little things can travel throughout your dog's body and cause serious damage. Some breeds are also susceptible to ear vasculitis, which is inflammation of the blood vessels in the ear flap. This condition typically comes with thickening of the ear margins, which eventually ulcerate and crust over. Dogs with balance issues, be it from trauma, stroke, inner ear infection or vestibular syndrome, might shake their heads in an attempt to relieve their symptoms. Not only is excessive head shaking a symptom of a problem, it can actually be a cause for one as well. Sometimes a dog can shake their head so much that it will cause the blood vessels in the ear flap to rupture, resulting in a hematoma. This will look like a swelling of the ear flap. It really is a pocket of blood and it will cause your dog to shake their head even more. Ear hematomas require veterinary attention if they are to heal without permanent disfigurement. All this refers to voluntary head shaking. This is what we typically picture as a head shake. There are such things as involuntary head tremors, which are another story all together. Why Does My Dog . . . Shake His Head All of the Time? I just wanted to say I love your blog, and your posts. They are so informative. Head shaking was the first indicator when my big boy had horrible ear infection. Thank you so much, Rebekah. Would you like to share your dog's story on my Real-life stories Tuesday? Well, could be any of the reasons, most likely a bite (are there bugs outside now?) or a foreign body or something. If it hasn't stopped yet, please talk to a vet. My little dog got attacked by two big dogs.I can't see any wounds but she has been shaking her head ever since..
With or without the presence of visible wounds I'd definitely see a vet after such event. You never know what damage might have been done which isn't readily visible. There can be no visible wound or just a tiny one and yet there can be a lot of damage under the surface. Particularly with two big dogs having their way with one little one. Do not delay and see a vet. I have a 1 year old chihuahua that shakes her head quite a lot then she stops for a couple days and then it starts again. I've had her ears cleaned and was told told there is nothing wrong but the shaking continues. Could it be a habit she enjoys? You were told by a vet nothing is wrong? I assume they mean ear infection? What area do you live it? Any chance of grass awns and such things? I don't feel that such head-shaking would be an enjoyable habit. I believe there is a reason for it, just have to find it. Well, things like ear infections are not an outdoors issue. Foreign bodies are less likely if not playing outside. But SOMETHING is up. That is strange. Infection or foreign body are the most common causes. Something is causing it, though. Any particular time of the day or circumstances under which it happens? 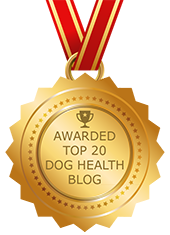 I recommend seeking a consultation with an integrative vet. Additional diagnostic and treatment toolbox; goes a long way particularly when conventional medicine fails to resolve issues. I have an Old English Sheepdog that shakes his head frequently when outside in the cold weather. He will continue to shake his head after coming in the house for a while. His ears are clean, no odor, discharge or pain. My last dog did the same thing in the extreme cold weather. Ears are warm to the touch. Could cold weather be a factor? I'd imagine the cold weather could be a factor, yes. There are some ear-protective bands or hoodies they make for dogs. Maybe you can try that. As well as I'd look into how good the blood circulation is. Perhaps got bitten by something? If it was a spider that does require veterinary attention. If there is a foreign body or an infections, that too needs medical help. I would see a vet today. My old girl is nearly 11 medium/large dog the last few days she has been shaking her head on and off and I just went out to check on her b4 I went to bed and she is hot and panting. It’s cooler outside now but it did get to 30 degrees today, she had 2 clam shells full of water to lye in. At the very least I'd suspect is ear infection but if there is a fever there might be more going on. either way you want to see a vet. I’m very concerned I had my cockapoo groomed today and she is continually shaking her head and very restless. Totally out of character. Looking at her ears I discovered where she had been cut several times with the clippers. What can I do to help her? That would bother her for sure. Small cuts should heal on their own but if it's painful you could try polysporin--the one that has lidocaine in it.